Hosted by radio veterans and life-long Disney fans Tom Corless and Nick LoCicero, WDW News Tonight is a live, weekly, audio and video program presented on 105.5 FM, 660 AM, and AM 1520 WBZW in Orlando, Florida, as well as online at WDWNewsTonight.com every Wednesday from 9-11pm EST. 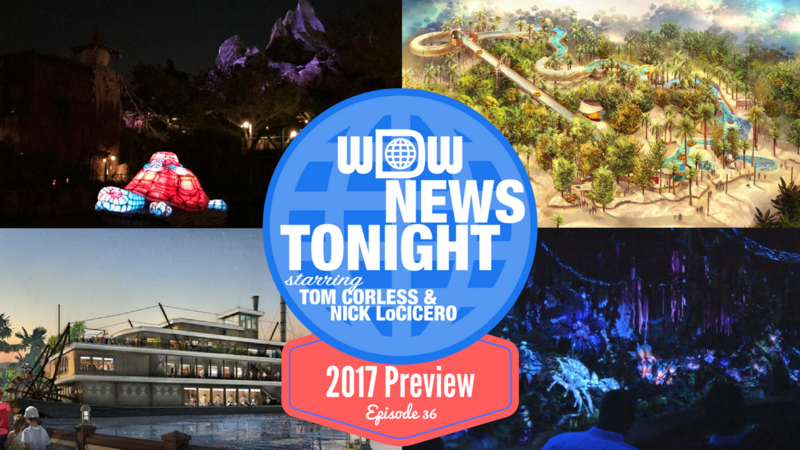 The show covers the Walt Disney World Resort and other Disney news. The show combines the latest headlines, comedy, trending vacation topics, call in games, and in-depth discussions to bring Disney fans a one-of-a-kind 2-hour program covering the Disney Parks. While the show is being live-streamed in both audio and video, listeners and viewers also interact via a live chat online. The show is also available on demand as an audio download, online audio stream and can be watched live or recorded on YouTube. Original live broadcast Wednesday, January 11, 2017 at 9PM EDT.